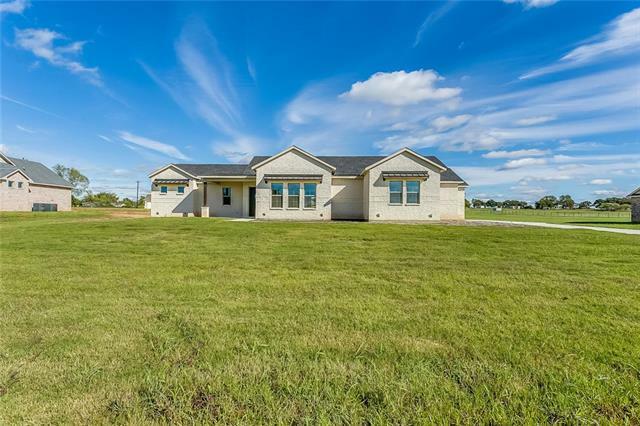 All Millsap homes currently listed for sale in Millsap as of 04/23/2019 are shown below. You can change the search criteria at any time by pressing the 'Change Search' button below. If you have any questions or you would like more information about any Millsap homes for sale or other Millsap real estate, please contact us and one of our knowledgeable Millsap REALTORS® would be pleased to assist you. 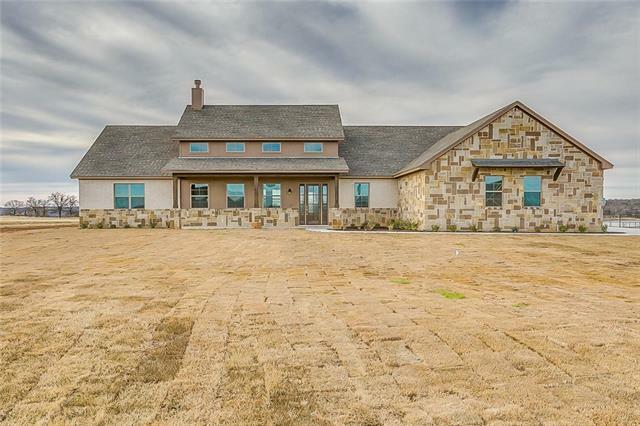 "Parker County Turnkey Horse Facility on 70 acres,just minutes from Downtown Weatherford!Enjoy the lake view from the deck of the immaculately maintained custom farm house!Insulated show barn has 27 stall with office and break room,walk thru tack room,wash racks,fly spray system,stall matts and automatic waterers. 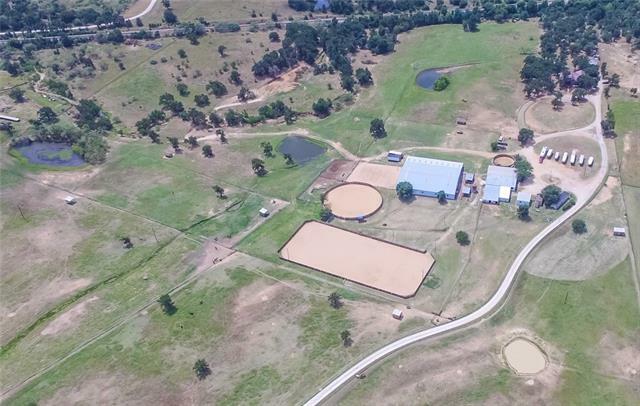 Facility amenities include indoor arena,2 outdoor lighted arenas,hay barn,2 equipment barns,grain silo,5 large cattle pens with shade,shaded loading chute,walled breaking pen, walker,3 "
"Turnkey 38 + acre horse training facility ready for almost any discipline. 4 arenas, 135 x 270 outdoor pipe arena, 120 ft round arena, 95 x 120 indoor, 95 x 95 outdoor pen, breaking pen, 10 stall arena barn, 6 stall show barn, 10 stall stud barn, 7 stall mare barn with 2 foaling stalls, 2 tack rooms, wash rack, covered stock with bathroom and washer dryer, 4 stock tanks, 7 turn out pastures with loafing sheds and a larger pasture for cattle or trail riding. 3 bed 2 bath updated brick home with n"
"First-class equestrian facility was designed with convenience in mind. Brock ISD. 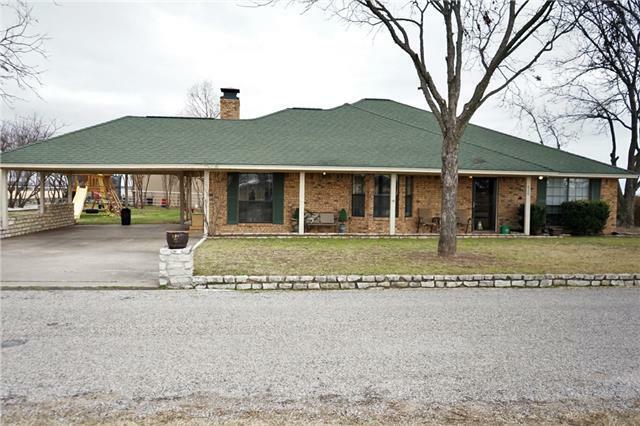 3 bed,2 bath, 2,412 sq ft ranch style home. Open porches overlooking the pool, hot tub, & training facility. 38 stall, 14,040 sq ft barn, feed room, office space, & hay and equipment storage. Quarter mile track. Sandy soil that produced over 650 square bales. New 77,000 gallon horse exercise pool has been installed to keep you athletes in top condition. Six horse walker, round pen, wash rack, & turnout pens. New 1,"
"Secluded Property only minutes from I20. Beautiful home immaculately maintained. Stunning stained concrete floors, beautiful pine kitchen cabinets, updated stainless steel appliances. 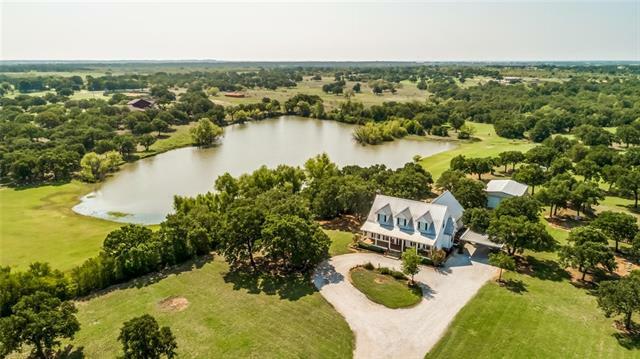 Pasture for the cattle & horses, stocked pond and trees for hunting. 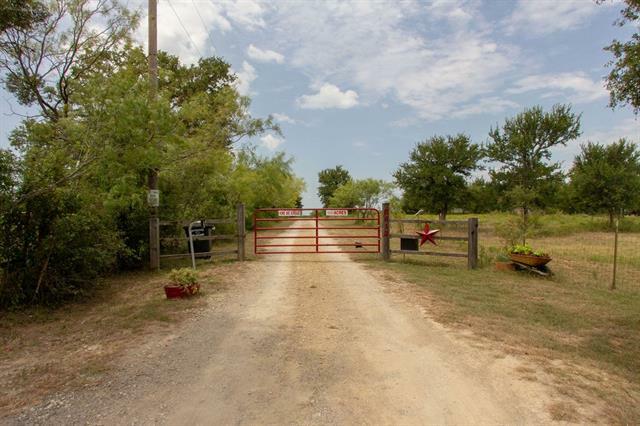 This property offers it all, bring your dogs, horses, cattle, chickens... all while enjoying the multiple uses for this fantastic property. Large 30 x 40 shop with carport. Large fenced garden with raised beds." "ONE OF A KIND horse property. Fenced and crossed fenced. This 2 bedroom 2.5 bath home sits on 11 plus beautifully treed acres. Extremely tall ceilings for the kitchen, dining, and living room. The home was actually built as a apartment or mother in law home with a future home site closer to the front of the property." 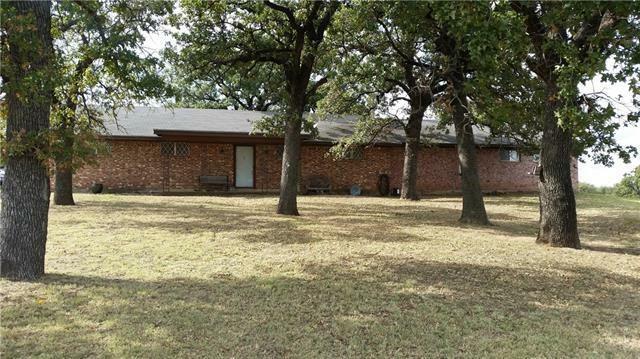 "Great opportunity to own home and land convenient to Interstate 20. Less than 15 minutes to dining, shopping and hospitals in Weatherford. Millsap school district. Original home was built in 1971. Additional bedroom, bath and laundry room built in 2003. Original part of home has central air and gas heating. Addition has its own electric central air and heat. Baths are handicapped equipped. Pasture has excellent stand of coastal bermuda grass. Property is currently under ag exemption. Additional "
"Great 3 bedroom house on 20 acres. 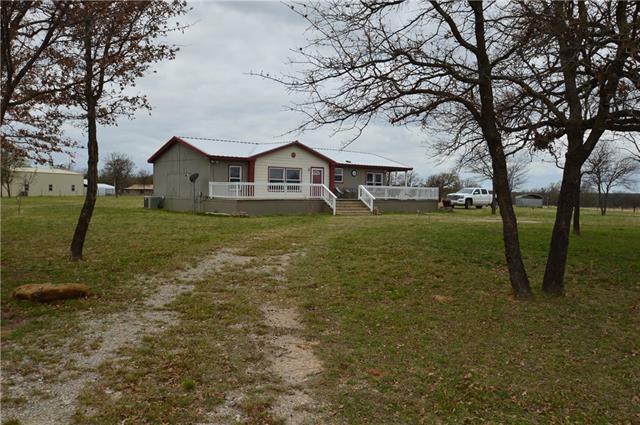 Large rooms, living, deck, great privacy on 20 acres ready for horses. Brush and undergrowth is cleaned out with cross fences and scattered oak trees. Mineral rights included." "Brick Home sitting on 17.80 acres. Home is 3 bedrooms, 2 bath, Office and Enormous Family Living Den. Wood burning fireplace, 16 seer ac unit, tank less water heater and abundance of double pane windows to View the Country Living. EVERY MANS DREAM 30 x 50 insulated Metal Barn with roll up door. Electric and has been plumbed for Water. Property is fenced and crossed fence. Three Car Carport. Two extra storage Buildings. Above ground swimming pool, amazing wood deck with sitting attached. 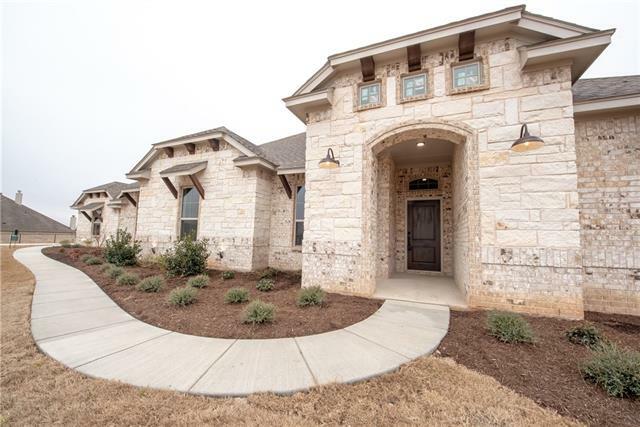 Two "
"Another beautiful house by Cross Custom Homes in Heritage Acres. Located on a quiet cul-de-sac with pond view in the highly desirable Brock ISD. Living room features a large wall of windows with lots of natural light. The double island kitchen will be loved by the chef of the house with plenty of workspace. Many designer details throughout including lighting, apron front sink, and finish out. Great layout with large mud-utility room, split bedrooms, study, and open concept." 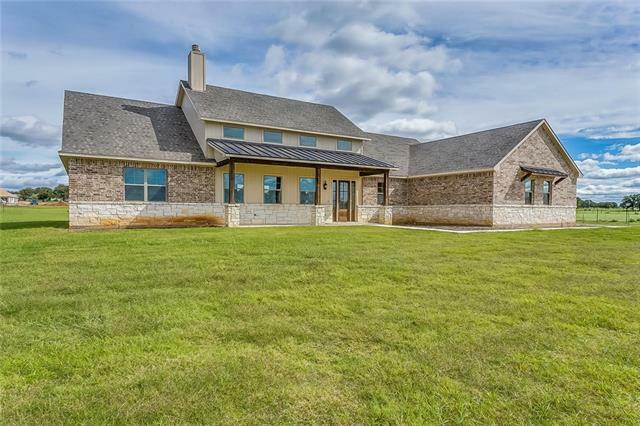 "Gorgeous new construction on 1 acre in peaceful setting in Brock ISD! Spacious open floor plan includes formal dining, game room, large kitchen, 4 bedrooms 2.5 baths and 3 car garage. Upgrades include custom cabinetry, granite countertops, stainless appliances and hand scraped hard wood flooring. Comes with builders 2-10 warranty!" "Now is the perfect time to move to BROCK ISD! Brock is 1 of 49 school districts in the state that received a 5-star rating for the third year in a row. So look no further and move your family into this gorgeous home sitting on one acre. The 1-story home features 3 very large bedrooms, 2 full baths plus a office. A farm house style open concept kitchen with tons of windows and natural lighting, hand scraped hardwood floors, and huge island. 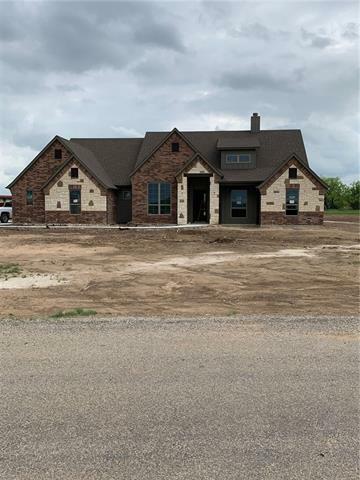 Beautiful sunsets, room to roam and just a great place t"
"Don't miss out on the best priced home per square foot.... NOW is the time to move to BROCK ISD! Brock is 1 of 49 school districts in the state that received a 5-star rating for the third year in a row. So look no further and move your family into this gorgeous home sitting in a beautiful country setting on one acre. This one story open concept home features 4 bedrooms, 2 and a half baths, hand scraped hardwood floors, huge kitchen and living room. 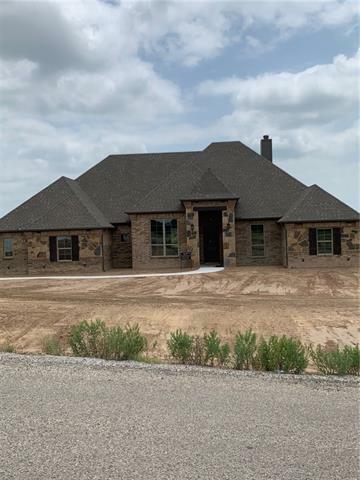 Beautiful fireplace with tons of windows and na"
"Gorgeous new construction with pretty views in Brock ISD. Home features spacious floor plan with split bedrooms, formal dining and game room. Open concept includes hand scraped hardwood flooring, custom cabinetry, granite countertops and stainless appliances. 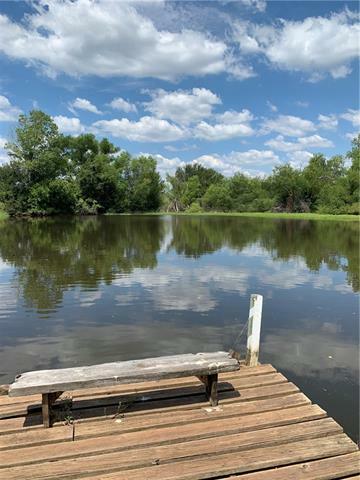 Peaceful setting on 1 acre. Comes with builders 2-10 warranty!" 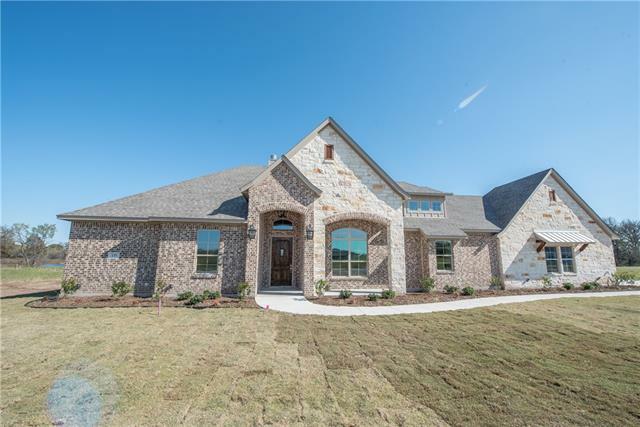 "Gorgeous new construction in peaceful setting on 1 acre in Brock ISD. Spacious floor plan includes 4 bedrooms 2.5 baths, formal dining, game room and 3 car garage. Features include hand scraped hardwood flooring, custom cabinetry, granite countertops and stainless appliances. Comes with builders 2-10 warranty!" 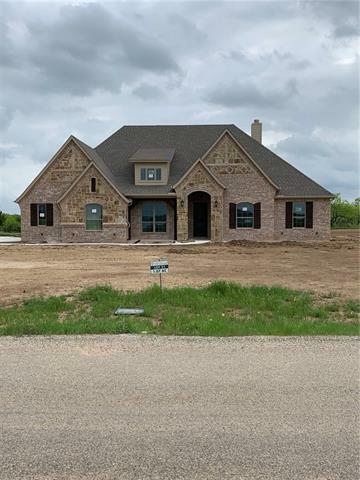 "Beautiful NEW construction home built by McBee Homes! One step in and you will fall in love with the huge open family room, kitchen & casual dining! The hub of the home features custom cabinets, designer backsplash, and great island. With 4 bedrooms and a flex room there are tons of options! Need a study-easily convert bedroom 4. Oversized 3 car garage is very handy. The views in the neighborhood are peaceful and serene. Enjoy the large covered porch with wood burning fireplace! Qualit"
"Best priced home per square foot! NOW is the perfect time to move to BROCK ISD! Brock is 1 of 49 school districts in the state that received a 5-star rating for the third year in a row. So look no further and move your family into this gorgeous home sitting on one acre. The 1-story home features 3 very large bedrooms, 2 full baths plus a office. A farm house style open concept kitchen with tons of windows and natural lighting, hand scraped hardwood floors, and huge island. 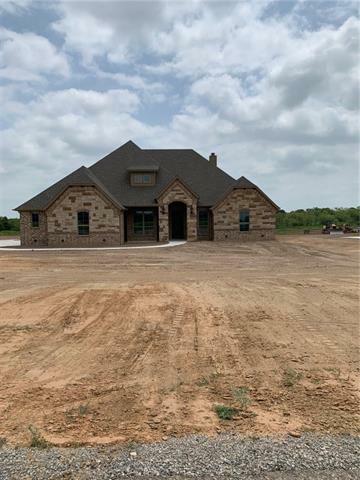 Beautiful sunsets, roo"
"Gorgeous new construction on 1 acre in Brock ISD. Home features open spacious floor plan that has 4 bedrooms, 2.5 baths, formal dining, game room, and 3 car garage. Features include custom cabinetry, granite countertops, stainless appliances, and hand scraped hardwood flooring. Comes with builders 2-10 warranty!" "OLD FARM HOUSE ON LAZY BEND IN BROCK TEXAS! 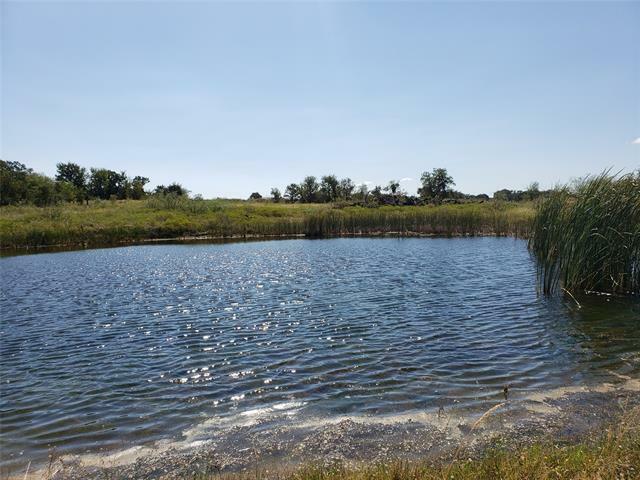 THIS 10.39 ACRE SANCTUARY OFFERS A 1.5 ACRE FULLY STOCKED POND. PROPERTY IS FENCED AND IS SECLUDED ON ALL SIDES. IT IS HEAVILY TREED INCLUDING LIVE OAKS, ELM, MESQUITES, AND WILLOWS. THERE ARE MANY GREAT BUILDING SITES FOR ONE OR MULTIPLE HOMES, AND PLENTY SPACE FOR AN ARENA. BROCK SCHOOLS AND CLOSE TO I20. 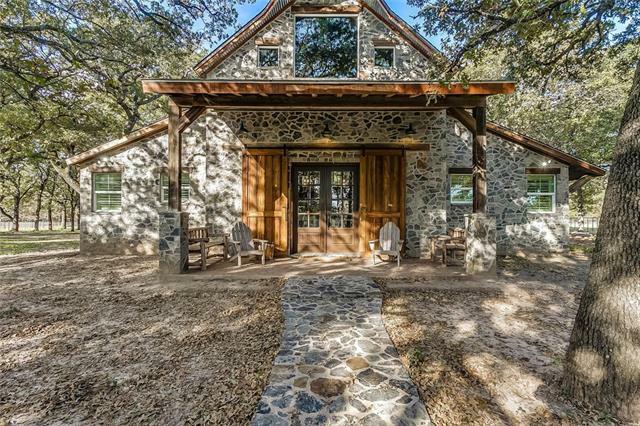 COME VISIT THIS PARKER COUNTY RETREAT, AND SEE IT FOR YOURSELF." "Great river community. 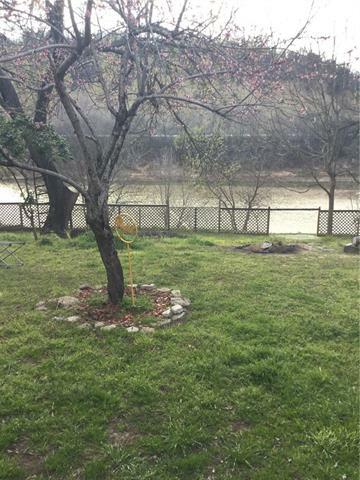 This part of the Brazos is ideal for floating, fly fishing and other recreation. Just imagine drinking your morning coffee while sitting watching the many birds, and the peaceful river flow. This home has a well and is used in the home. The subdivision has an extraordinary large sandy beach for all to enjoy. Live in full time as the previous owner for over twenty years or as a weekend getaway. 2 lawn mowers and frig included with a full price offer. Other furniture is neg"